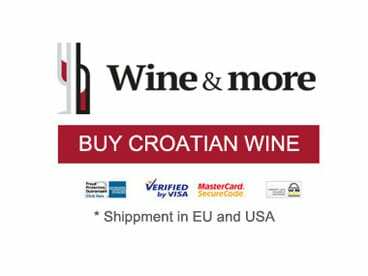 Istrian cuisine is very similar to the one of its neighbor, Dalmatia. 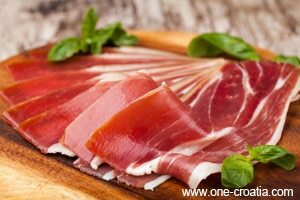 These two regions enjoy the same Mediterranean climate and cook the same products. The same products yes, but with one exception. 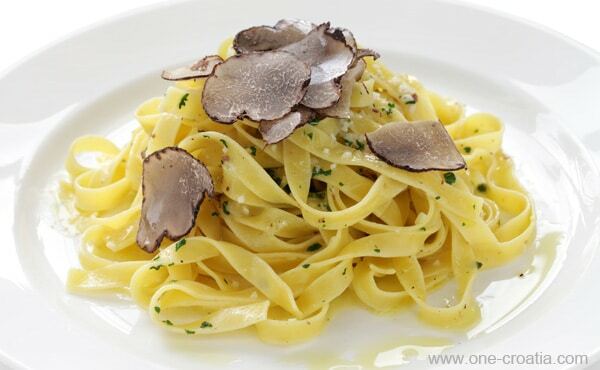 Only one ingredient makes the difference : you will only find truffle in Istrian cuisine. 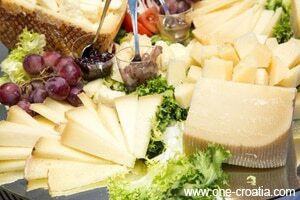 In Istria the meal starts with sheep cheese and smoked ham… coming from Istria of course. The bread is cooked under a cast-iron bell covered with embers, this is called ‘Peka‘. We also prepare hot and comforting soups, which are served as a main dish. 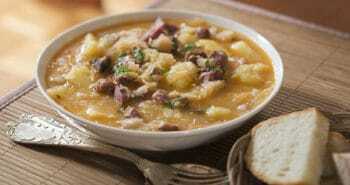 Such as ‘Maneštra’ that could be compared to Italian minestrone, and ‘Pašta-fažol‘ made from beans and pasta. These two soups used to be popular at the table of poor people, but today they are back on an everyday food menu. ‘Jota‘ is a wondeful dish prepared with sauerkraut cabbage, beans and smoked meat. 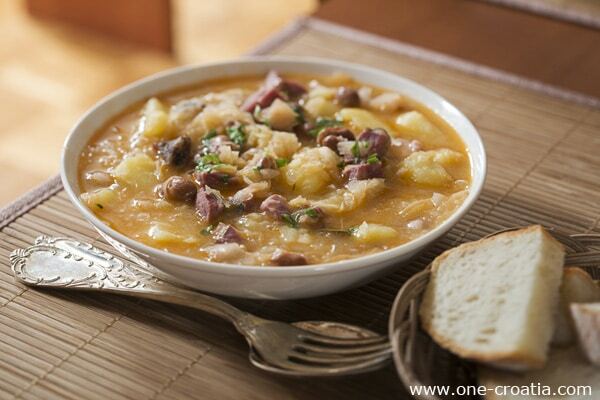 ‘Supa‘ is a soup that will get you warm during the winter. It is even said that it will treat you if you are sick. 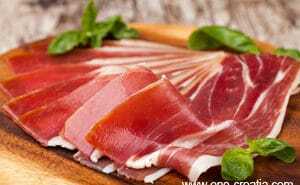 It is prepared with the local red wine Teran that is slightly heated, we add olive oil and pepper, and then we put some pieces of bread that have been first grilled on a wooden fire. ‘Brudet‘ is a very popular fish stew that we can compare to the french bouillabaise. Langoustines are cooked in a ‘Buzara‘ sauce made from tomato sauce and white wine. 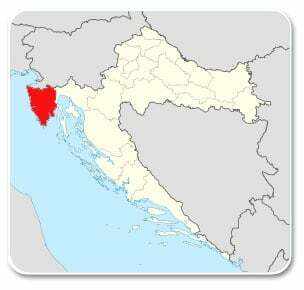 Istria is very proud to possess in its soil a jewel known as the truffle. 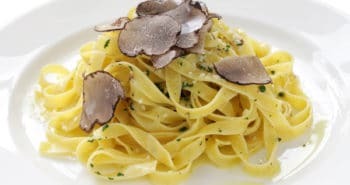 The truffle is really present in the istrian kitchen. 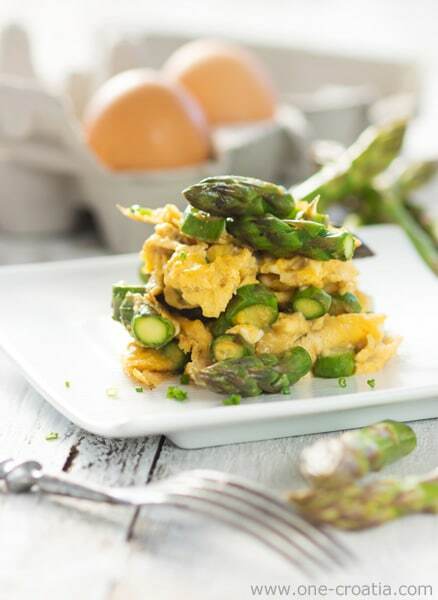 The other ingredient that makes the success of Istrian cuisine is the wild asparagus. 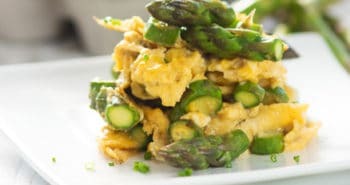 The asparagus is prepared mainly in risotto or with scrambled eggs and is then called ‘Fritaja‘. What’s for dessert? 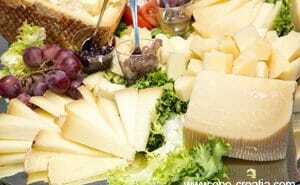 We can mention desserts made with figs or the famous ‘Fritule‘ which are small donuts, or ‘Kroštule‘ which are fried dough pieces.